Our in-depth knowledge and industrial expertise enable us to manufacture and supply a distinguished range of Double Roller Ginning Machine. - Used for ginning purpose. Capacity: 5 to 6 kg seed cotton per hour app. Floor space occupied: 1985 x1725 mm. Production Capacity: Approx 640 to 720 Kg Lint for 8 Hrs. The production capacity of these Pre Ginning Machine are of varied ranges. 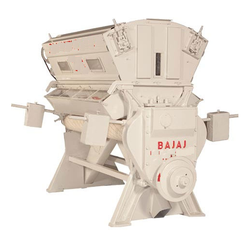 Our range of cotton ginning machines comes in different specifications and configurations to meet the requirements of clients. - Even formation of the lint batt for the press. - Drum peripheral speed could be varied to match Gin capacity. - All rotating parts are provided with anti friction bearings for optimum efficiency. - Easy to maintain; Low maintenance cost. This machine is mostly used for testing the quality of cottons. - Designed & Developed to gin large quantity of seed cotton samples quickly to test their fibre & seed quality.